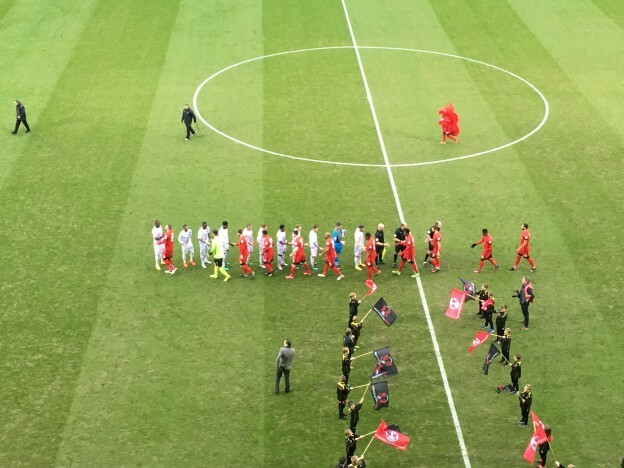 Leyton Orient had their three home game unbeaten run ended, after a 3-1 defeat to Barnet at the Matchroom Stadium. Ricardo Santos grabbed two quick-fire second half goals from close range inside the box. Paul McCallum grabbed one back for the O’s with a header for his 10th goal of the season, to give the hosts a glimmer of hope. However, Curtis Weston put the final nail in Orients coffin, as he secured the points for the visitors with a strike from inside the box. Andy Edwards made two changes to his side that were beaten 1-0 away to Exeter City last weekend, Josh Koroma gets his first league start for the O’s and Teddy Mezague returns from a groin injury, as Sandro Semedo and Sam Dalby are both side-lined with injury. Barnet almost found the opening goal just two minutes in, as Curtis Weston’s ball into the box was not gambled on by Mauro Vilhete or John Akinde. Orient responded with a strike from range by Koroma which had to be parried by Jamie Stephens in the Barnet goal but Nigel Atangana could not get to the loose ball at the rebound. Collins took a long range shot from around 25 yards, which whistled just past the post and out for a corner, after a deflection from the Barnet defence. The visitors nearly took the lead, as Simeon Akinola was played in with a clipped ball over the top which his shot on the volley was palmed away by Alex Cisak for a corner. The away side again threatened on the counter-attack, as Akinde powered passed Tom Parkes burst into the box and poked his shot goalwards but was stopped and the feet of Cisak. Barnet were gifted a great oppertunity, as they intercepted a Orient throw went down the other end and Akinde went passed Erichot and with just Cisak to beat put his shot over the bar. Cisak denied Barnet once again, as Vilhete wriggled through the defence from out wide and his shot from six-yards out was parried just around the post down low to Cisak’s right. In the second half, Barnet had the first opportunity of the half as Akinde clipped the ball into the box for Akinola to meet but his header looped over the bar. Barnet took the lead just after the hour mark, as a cross by Vilhete was headed by Akinde goalwards and Cisak was unable to hold on to the header which the ball then came back off the post and was tucked in by Santos. The visitors doubled their lead, just two minutes later from the same man with Akinde’s low ball into the box, which was slotted smartly by Santos past Cisak. Orient searched for a way back into the match, as Atangana battled to win the ball inside the Barnet penalty area and laid it off for substitute Ollie Palmer to shoot but his shot was blocked and away for a corner. From the resulting corner Orient got their lifeline back into the match, as Callum Kennedy’s set piece was met by McCallum, to set up an entertaining final ten minutes. 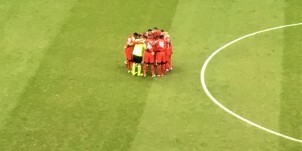 Barnet sealed the three points in the second minute of injury time, as the visitors broke after Orient had committed men forward and substitute Jamal Campbell-Ryce’s shot came back off the crossbar and Weston was in the right place to put the ball into an empty net. This entry was posted in Football, Sport and tagged Barnet FC, EFL, EFL League Two, League Two, Leyton Orient.